The weather is changing. Fall has arrived. My drive to make hats has returned. 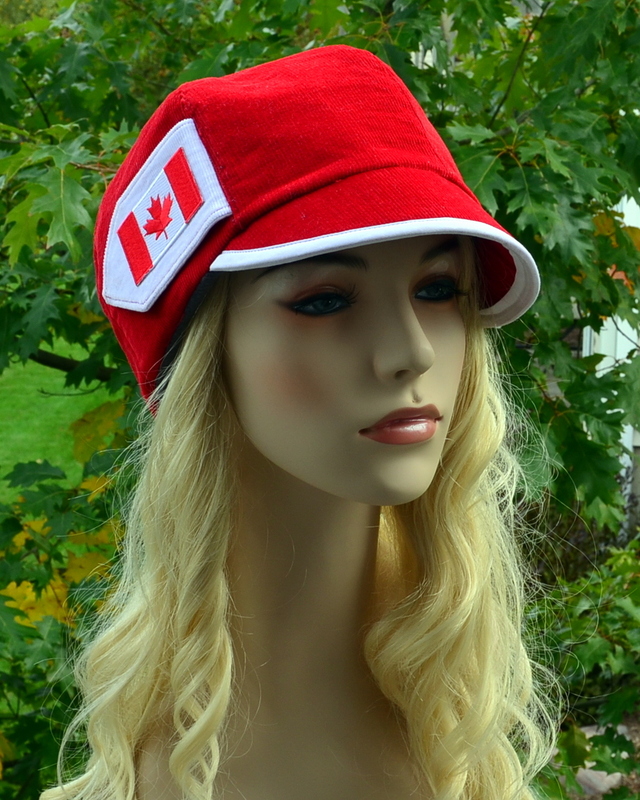 I couldn’t resist making this eye-popping red corduroy newsboy hat with an embroidered Canadian flag. Nothing says patriotism more than displaying one’s national flag. And why not do that in style? 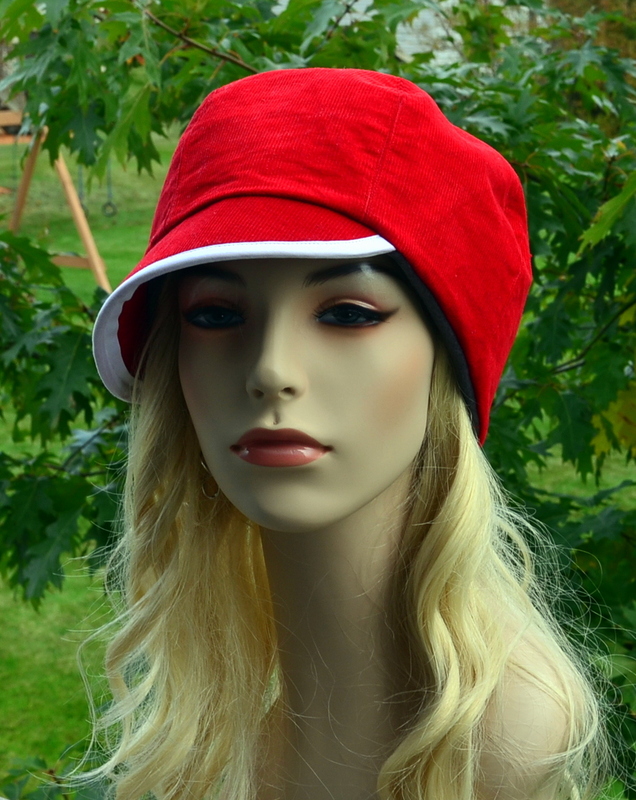 Or to the side for a trendy, modern look. 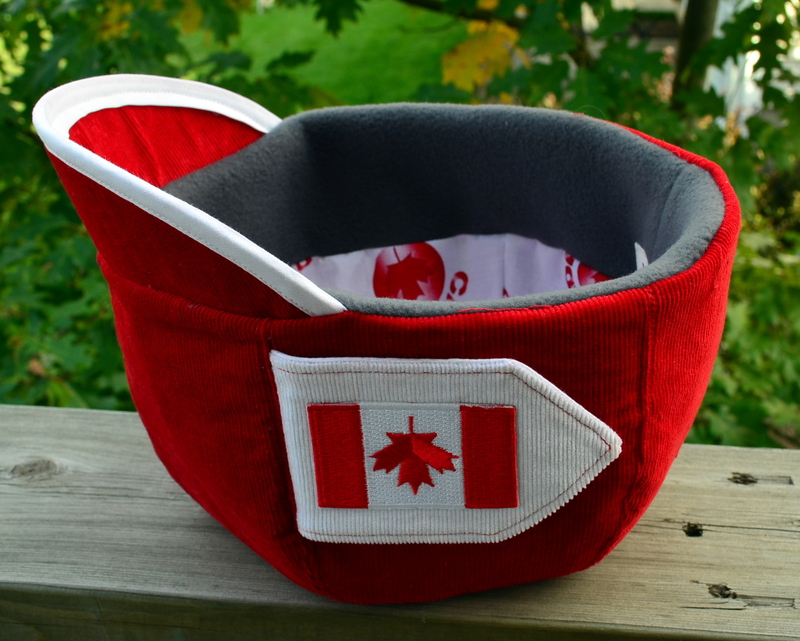 And of course, the inside features soft fleece and gorgeous cotton Canadian fabric. hehe. I hope he’s not upset that I wrote that. You can delete it if you want to. HAHA! I’ll tell him you said that. I love the hat. You should wear it with your red lipstick. Bruce won’t know what to do with all the Canadian beauty staring at him…well actually he probably will.